Free WIFI and DVD's are available for guest use Bedrooms en-suite with super comfortable king size beds, 1 spa suite, flat screen TV/DVD, Individually controlled air-conditioning, fridge & amenities, toiletries & hairdryers. 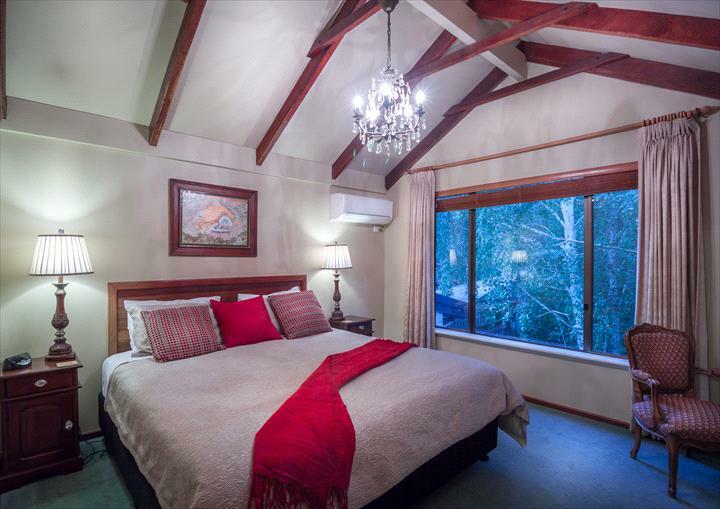 Rosewood Guesthouse is a boutique bed & breakfast catering to a maximum of 12 guests, located an easy 10 minute walk to the main street restaurants and shops. 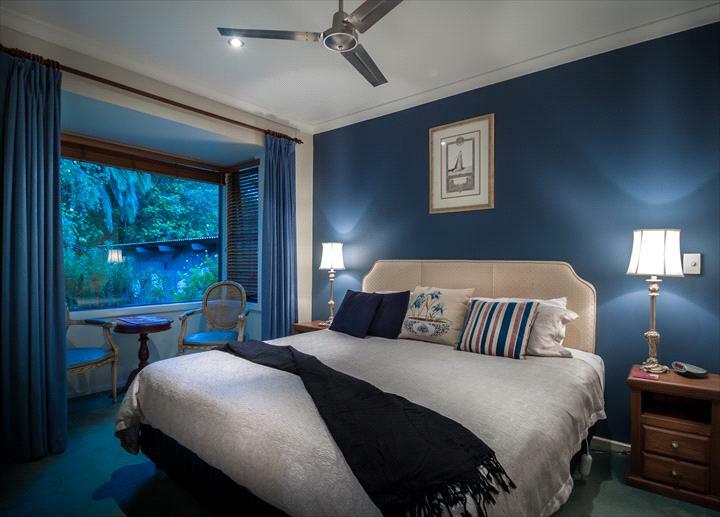 Voted 2018 Australian Good Food Guide Regional Choice Accommodation Winners and Trip Advisor Travellers Choice Award 2018 , Rosewood is perfect for guests wanting a warm and welcoming Australian experience and homestay. We are best suited to guests over the age of 12 and have no facilities for infants and small children unless a whole of house booking is made. The accommodation comprises of six ensuite rooms rated 4 1/2 star with TV/ DVD/CD Air-conditioning, fridge & tea & coffee making, en-suite bathrooms and all amenities provided.The lovely guest lounge has a television, DVD and stereo, as well as an ADSL internet available for guests as well as a cosy fire for the cool winters! The dining room which complements the atmosphere of comfort and conviviality . Gourmet full cooked breakfast with daily specials or the famous waffles is served to you each morning and is included in your tariff. Featuring • great coffee and tea • choice of fruit juices • fabulous fruit compotes homemade on our premises • locally made yoghurt • muesli from the region • organic breads and Jane’s preserves • waffles or porridge • gourmet veal sausages • oven roasted tomatoes • bacon and free range eggs Daily breakfast specials to tempt you. Good food and conversation, a great start the day watching the local parrots in the garden. In our guest lounge enjoy a glass of complimentary port by the fire. The tariff quoted is for 2 guests and includes our gourmet cooked breakfast with waffles served in the guest dining room.Rooms are serviced daily. Extra guests are charged for. 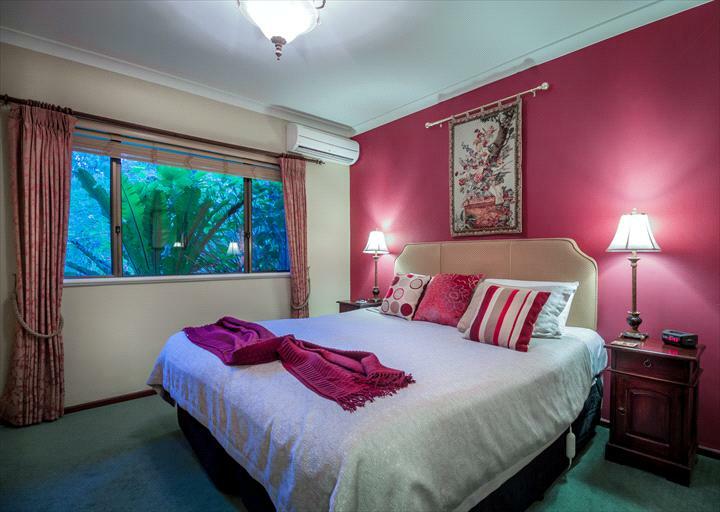 The Wallcliffe Spa is a very comfortable and private suite. Entry is to the large sitting room which has a small kitchenette and a lovely dining table and chairs. Featuring a comfortable couch and easy chair there is even a queen size bed. Through the leadlight door to the hallway which has the bathroom and powder room leading off it and the master bedroom with King size bed at its end, we can provide twin beds for stay of 2 nights or more. This room overlooks the front garden. WiFi is available. 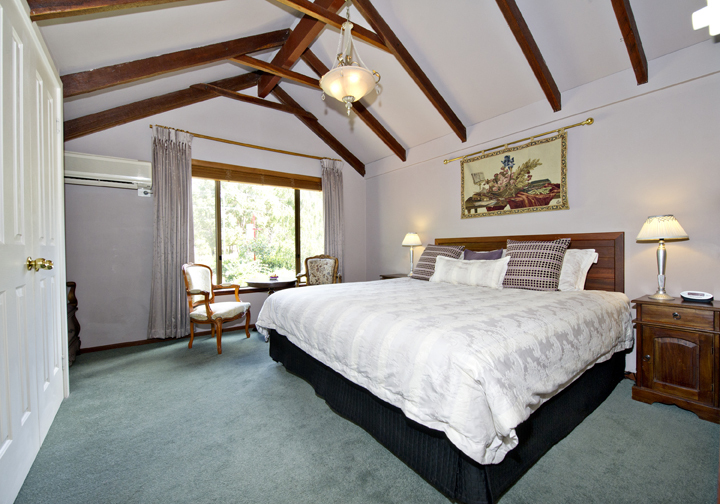 The Spa Suite has a 2 night minimum stay and is ideal for friends who want seperate sleeping areas. As a rule, children younger than 12 are not accommodated, although circumstances may allow this to be negotiated at the owners discretion. 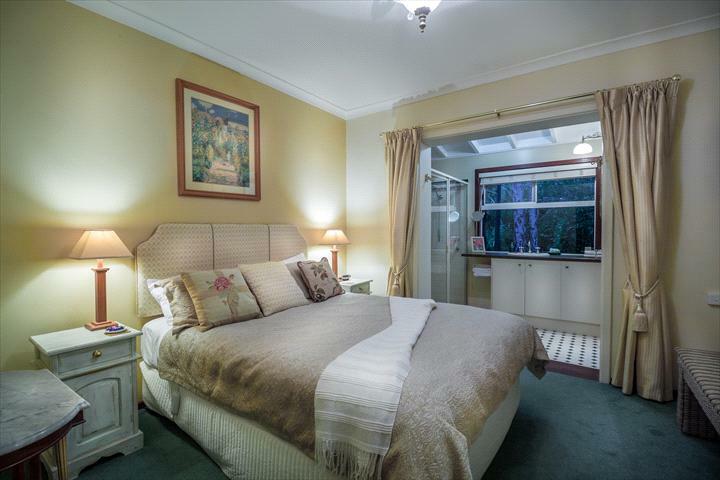 Gorgeous queen en-suite room with north facing garden aspect. via a lovely picture window framing the bird filled outlook! A warm cosy room with great charm. While a little smaller than the King rooms all the comforts and amenities that make Rosewood special are here in abundance. Tariff is for a max of 2 guests and includes full cooked breakfast served in our dining room. Free WiFi available. 2 night minimum stay is generally required on weekends, 3 for public holidays. Rooms are serviced daily. Tariff includes deluxe cooked breakfast including our famous waffles. Rooms are serviced daily. South-facing room with king size bed,glorious views over the front garden, room has 2 arm chairs wirh a small table. King size bed with doona, electric blanket, blanket . Room has reverse-cycle air conditioner, refridgerator, flatscreen TV, tea and coffee in room, WiFi available.. The spacious bathroom is ensuite. 2 night minimum is generally required for weekends and 3 for public holidays. Tariff includes a gourmet cooked breakfast served in the dining room. Rooms are serviced daily. North facing overlooking rear garden with bay window with table and 2 chairs, reverse cycle air conditioned, King bed with doona,can be set as a twin if requested when booking for a minimum of 2 nights, electric blankets, woollen blankets, ceiling fan, fridge, TV, Tea & Coffee making., WiFi available This charming room is spacious and has a foyer, large bathroom with shower and WC . 2 night minimum is generally required for weekends and 3 for public holidays. Tariff includes deluxe cooked breakfast with waffles. Rooms are serviced daily. A charming north-facing room overlooking the rear garden is beautifully decorated. Entry has a private hallway with the bathroom and seperate toilet leading off the opens to the bedroom, giving the feel of a suite!. 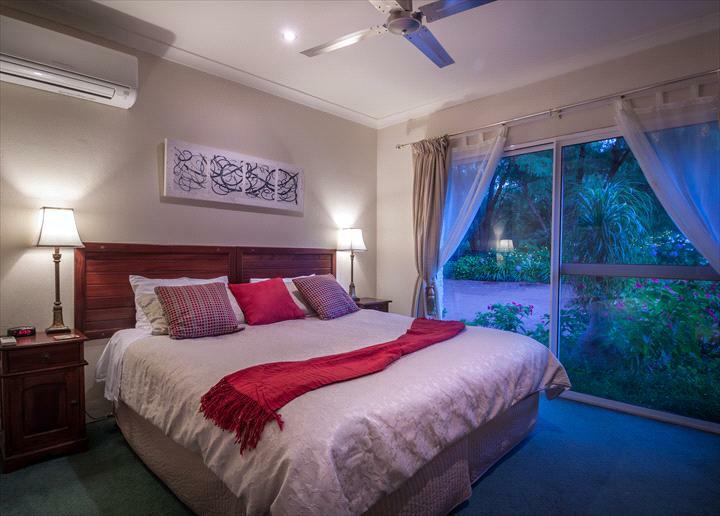 King bed with doona, electric blanket, woollen blanket, reverse-cycle air conditioner, fridge, Flatscreen TY, tea and coffee 2 arm chairs and table., WiFi available 2 night minimum on weekends and 3 nights for public holiday periods. Love to stay in a dreamy 4.5 star rated property just a 10 minute walk to restaurants, cafes and pubs? 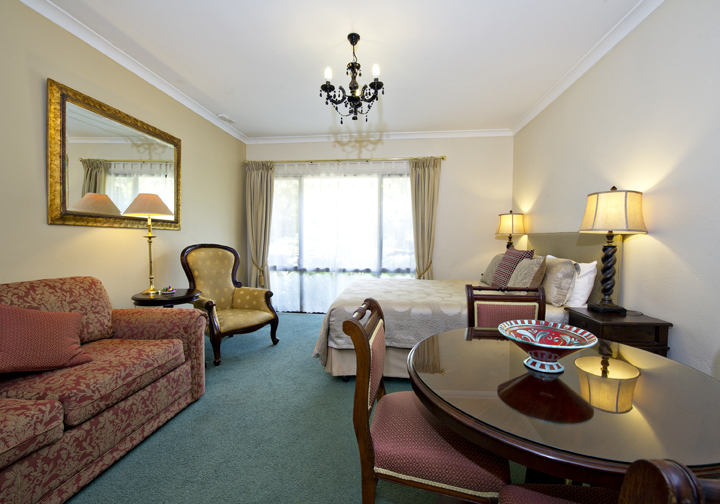 Then Rosewood Guesthouse is for you. Great en-suite rooms with either Queen or King size beds and if you prefer to skip breakfast in favour of a sleep-in we have a very special rate available for you! Please note that this rate does NOT include breakfast which can be purchased if required for $20.00 per person.